Arctic sea ice is on pace to be close to last year and above those minima observed in 2015 and 2016. The image above shows end of August ice charts from AARI (St. Petersburg, Russia) from 2009 to 2018. The legend identifies the thicker, multi-year ice in brown, and extents less than 7/10 in green. 2018 compares to other recent years as showing less ice on the European side, a surplus in East Siberian basin, and thick ice on the CanAm side. Some alarmists pointed to a bit of green showing at the northern tip of Greenland, but that also appeared in 2011. Dr. Judah Cohen published his Arctic Oscillation and Polar Vortex Analysis and Forecast as of August 27, 2018. Excerpts in italics with my bolds. Looking at the 500 mb geopotential height pattern of this summer in Figure i, reveals a fairly striking pattern – an anulus of high anomalous geopotential heights encircling the midlatitudes and low anomalous heights centered on the Canadian side of the Arctic. The name of this blog is the Arctic Oscillation (and Polar Vortex) and the AO is also known as the northern annular mode (NAM). I don’t often use the term annular mode because at least in the troposphere you don’t usually observe an annular or donut like anomaly pattern, at least in my opinion. But this summer is an exception and that tropospheric height pattern looks remarkably annular, a phenomenon usually reserved for the stratosphere where topography and land-ocean contrasts are absent. Figure i. Observed 500 mb geopotentail heights (contours) and anomalies (shading) for June 1 – August 23, 2018. Data is from NCEP/NCAR reanalysis NCEP-NCAR data. Such an annular pattern favors above normal temperatures to be omnipresent across the mid-latitudes as the Jet Stream is forced to retreat poleward and allowing subtropical heat to overspread the mid-latitudes. This is not meant to be a discussion on climate change but I will just note that the poleward retreat of the Jet Stream, the northward expansion of the subtropical ridging into the mid-latitudes accompanied by heat and drought are projected to be consequences of climate change. 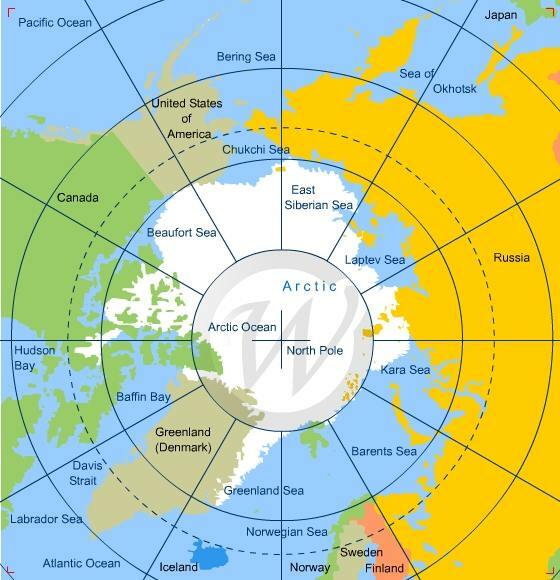 But the mid-latitudes gain was the Arctic’s loss in that though the pattern pumped heat across the mid-latitudes the annular structure in the geopotential heights protected the Arctic ocean from incursions of warm, moist air masses from the south and insulated the Arctic ocean and sea ice from excessive melt. This included Greenland, where melting was close to average. So even though sea ice extent was at record lows this past winter a new Arctic sea ice minimum will very likely not be achieved this September. The Arctic sea ice is on pace to be close to last year and above those minima observed in 2015 and 2016. The record Arctic sea ice minima was observed in 2012. I don’t expect any notable deviation from the recent decadal fall temperature trends. One region that has experienced a cooling trend in contrast to the nearly universal warming is Siberia. I believe this in part due to the increasing trend in October snow cover extent across Eurasia. It will be interesting to see if this trend pattern repeats in 2018. And as I am sure many of you know this will be the focus of my attention in the coming weeks. Finally as the atmosphere cools more rapidly than the ocean I do expect to the heat transfer in the Arctic to reverse from into the ocean to out of the ocean. This could finally end the near perfect annular pattern of the Northern Hemisphere.